Game of Thrones with Jay, Jack & Nick: Ep. 5.2 "A Knight of the Seven Kingdoms"
The Broadcast Ep. 3.39 "We're Doing a Thing"
Owen and Beru's BBQ: Ep. 16: "The Rise of Skywalker Teaser Trailer Reactions (Part 2)"
Explícito Ramblecast After Dark Ep. 34: "GOT Kraft?" Game of Thrones with Jay, Jack & Nick: Ep. 5.1 "Winterfell"
Owen and Beru's BBQ: Ep. 15: "The Rise of Skywalker Teaser Trailer Reactions (Part 1)"
The Broadcast Ep. 3.38 "Frankie, Hold My Beer"
Explícito Ramblecast After Dark Ep. 33: "Mayor Humdinger & the Poop Triggers"
Cyndi and Jack talk about the latest episode of Dancing with the Stars. Jeremiah and Mike talk about Fargo on FX. A podcast about news, sports, TV, movies, and anything else you want to talk about. A podcast dedicated to "Downton Abbey." A sports podcast brought to you by 3…er, 4 stupid guys. Jay, Jack, + Mike talk about the hit Netflix series, "Stranger Things." They begin with a Season 1 rewatch and then cover the new episodes for Season 2 and beyond. A podcast dedicated to "The Amazing Race" on CBS. Life from the female perspective. Silliness with a side of serious. Made for everyone. A new podcast from old-school podcasters. Each week has fun segments, both new and old, including a special guest. A podcast dedicated to "The Leftovers" on HBO. 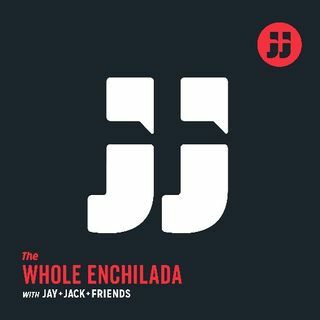 Jack, Matt, Boston, Nick and sometimes Jay have taken Jay and Jack's Ramblecast to the next level with this podcast where they ramble about anything they'd like, but explicitly. This is the old Married Man Show feed. These podcasts will remain on the feed for now for anyone who wants to go into the archives. A podcast dedicated to "The Walking Dead" on AMC.